Masterpieces in stone and metal. Renaissance Sculpture is varied and very often executed on a grand scale. You can see (in person) some of the sculpture produced in the Renaissance and lots of it without having to pay an entrance fee to a museum or gallery. There are several fine examples in Florence. (Michelangelo's David is one of these). St Peters in Rome has work by Bernini and Michelangelo, and the gilded bronze papal altar is a must see. The square in front of the Palazzo Vecchio in Florence is known as the Piazza della Signoria. This and the surrounding area is packed with several excellent works and, best of all, you don't pay an admission fee to view them. Giovanni da Bologna became known simply as Giambologna (1529-1608). He was trained in Antwerp before moving to Rome to study the Ancients and the work of Michelangelo. He eventually settled in Florence and worked in the service of the Medici family he became one of the most important sculptors of the Late Renaissance. 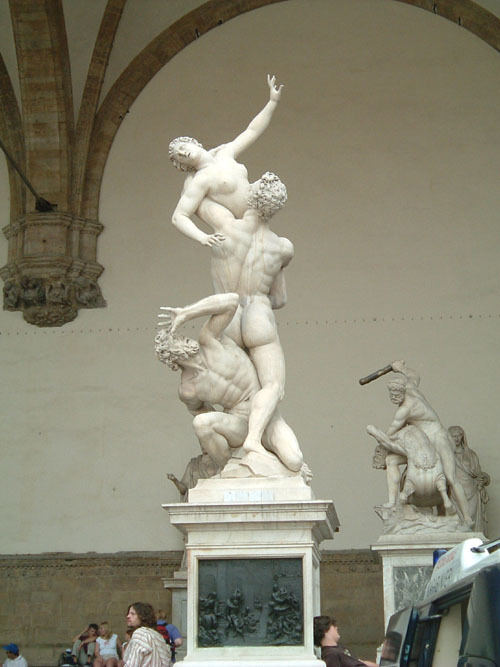 The story of the Sabine Women refers to an early period in Roman history. When the Sabines refused to allow their women to marry Romans they were abducted and persuaded to accept their fate. Giambologna has portrayed the scene with three vertical, intertwined figures. The work is considered to be his masterpiece. What a fantastic photo, taken by Ricardo André Frantz. 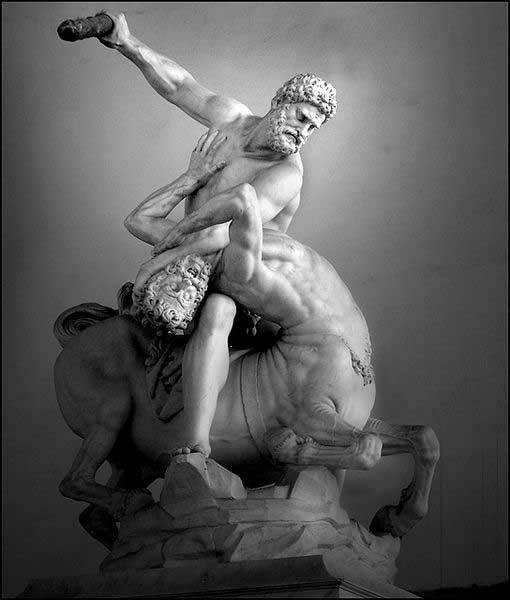 Giambologna was born in Flanders, but he moved to Italy in 1550. 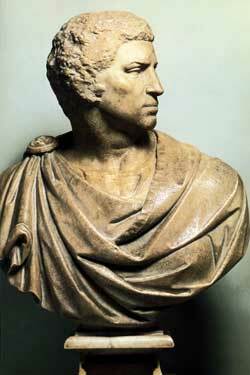 He had a keen interest in the sculpture of classical antiquity and was greatly influenced by the work of Michelangelo. 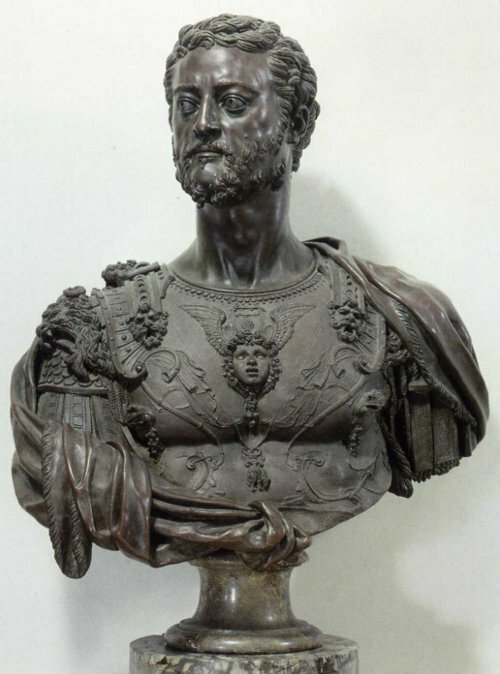 Michelagelo's bust of Brutus c.1542. 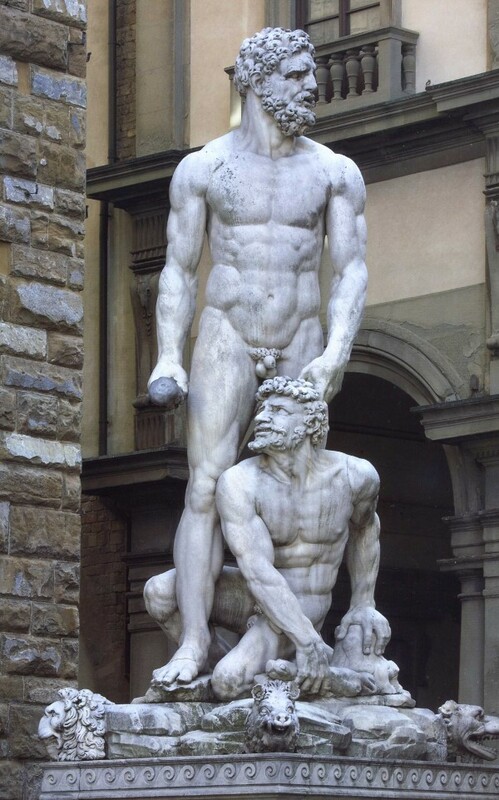 Two more Renaisance statues from the Piazza della Signoria in Florence. I managed to snap this image (Neptune Fountain) and the one bellow (Perseus) without any tourists getting in the way! A feat in itself in crowded Florence. Ammannati is more famous for his architecture than any of his sculptures, but he did admire the work of Michelangelo. The Grand Duke of Tuscany, Cosimo I de' Medici was the model for the face of Neptune, unfortunately Michelangelo taunted Ammannati on the finished work stating that he had ruined a beautiful piece of marble!!! 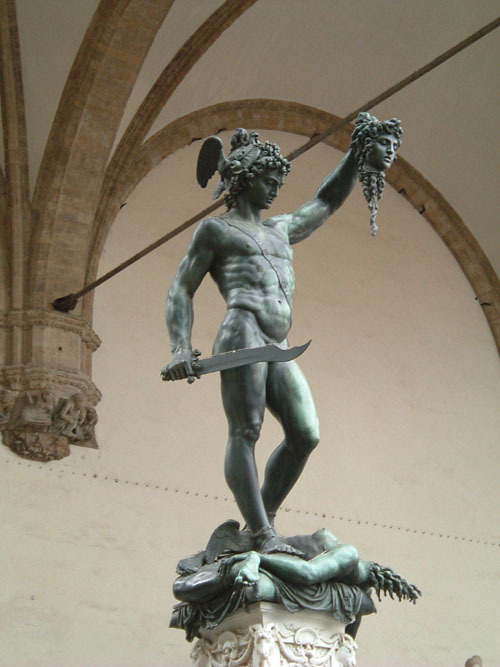 Benvenuto Cellini was a sculptor and goldsmith. Born in Florence in 1500 his life was a mix of violence and supreme artistry which saw him imprisoned for looting and, by contrast, producing the famous golden saltcellar for Cardinal Ippolito d' Este. 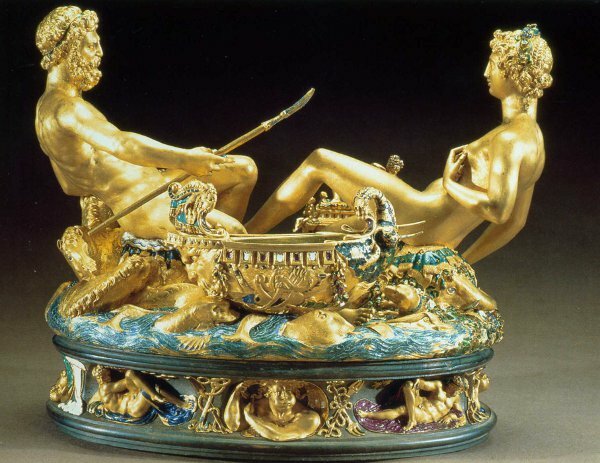 The saltcellar was acquired by King Francois I of France, it was stolen from the Kunsthistorisches Museum in 2003 but was recovered in January 2006. This is a great work! Cellini was influenced by Michelangelo's sculptures and this fine piece of art, cast in bronze, took ten years to complete.